Are you feeling the effects of winter? 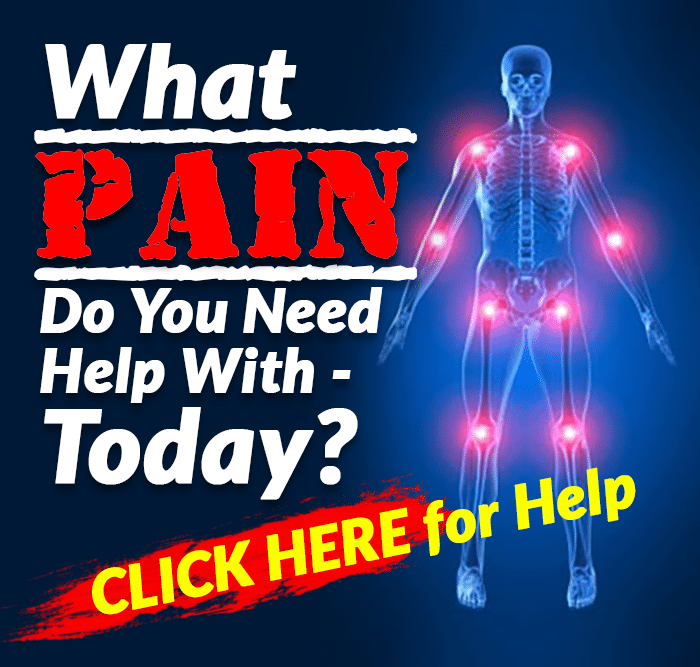 Do you have symptoms like low energy, brain fog, anxiety or depression? If so, we’ve got 10 ways you can boost your mood while waiting for the return of spring. How Does Winter Affect Your Mood? If you live in the northern latitudes, you’re likely missing the sun more than most, and you may be feeling its effects on your psyche. Seasonal affective disorder (SAD) raises its ugly head this time of year, and if you’re not getting enough exposure to light, you may be experiencing symptoms like fatigue, low energy, sadness, mood swings and depression. Scientists believe that the decrease in sunlight disrupts the body’s internal circadian rhythms and can lead to feelings of depression. 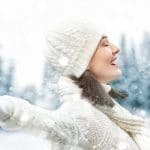 Less exposure to the sun and light, in general, can also reduce levels of serotonin, the “good mood” neurotransmitter, which is why you may feel the winter blues. Finally, the change in season can disrupt the production of melatonin, the sleep hormone, which may result in sleep disturbances that can leave you groggy and fatigued. Even if you’re not completely in the throes of SAD, you may still feel the effects of the shorter days and the winter weather. We humans are just too tied to the sun not to feel a change when it’s absent. According to a 2009 study, decreased exposure to sunlight increases cognitive impairment, which may be why your thinking has slowed a bit. Another 2009 study found that bad weather affected people’s memory. Researchers quizzed shoppers to see how well they could remember 10 unusual objects in the checkout area of a shop on bright, sunny days and again on cloudy, rainy days. You can probably guess that the shoppers quizzed on the bright day could remember more objects than the shoppers quizzed on the rainy day. The evidence is strong: lack of sunlight, paired with cold, windy weather, affects mood. However, you don’t have to sit back and accept it. There are many things you can do to still enjoy the winter months with a happy heart and bounce in your step. 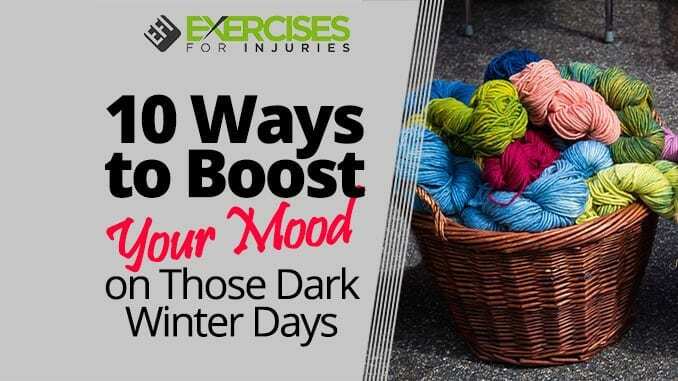 Below are some of the most effective ways to boost your mood when it’s dark and cold out. This is always the first step toward happiness, as it helps to counter the main reason why you may be feeling low. Get outside if you can, and let your skin soak up some rays for 15 minutes or so. If the weather is prohibitive, try one of the lights that are made specifically for chasing away SAD. These are called “light therapy boxes.” They produce broad-spectrum light that most closely resembles real sunlight, so they are usually more effective than just a standard light bulb. In addition to getting more exposure to light, it also helps to brighten up the areas where you spend most of your time. Flood your work and home spaces with as much natural light as you can. Open up the drapes and let the light in. Position different types of artificial lighting around you, and try to avoid overhead fluorescent lights as they are linked with headaches for some sensitive people. Use light bulbs that mimic daylight, and position them at the side of your computer monitors to reduce glare. Next, work with color to improve your mood. Studies have found that certain colors can affect how we feel, so use that to your advantage. Yellow is generally seen as a bright and happy color, so see if you can incorporate some into your spaces, either with a strategically placed pillow, some pictures or in the accents on your desk. Green is generally a calming color whereas red is more intense. Blue is also calming, but it can create sadness as well, so you may want to tune it down for now. Orange is great for encouraging enthusiasm. Pictures of nature are great options for either the home or the office as they help induce calm and contentment. Get some fresh flowers and place them where they’re easily seen. You can be as creative as you like. Any changes you make will likely help you feel better. For most people, it’s harder to exercise in winter because it’s so cold outside. Treadmill running or gym exercises may feel less enjoyable and that can wear on your motivation. Exercise is one of the most powerful things you can do to lift your mood. When you exercise, your body releases endorphins that make you feel good, and the effect lasts for hours afterward. 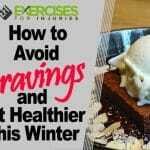 Try to adopt a winter sport that you enjoy like skiing or ice skating, or take up one that you can do indoors that will be fun like racquetball, swimming or dancing. Try some new home equipment that will inspire you like a rebounder or a virtual reality exercise program, or get some DVDs and exercise along with an instructor. Use your imagination to spice it up a bit. The more you can make exercise fun, the more likely you’ll be to stick with it. Lack of sleep can make you feel groggy and tired, but it can also negatively affect your mood. Harvard Medical School notes that sleep and mood “are closely connected,” and that poor or inadequate sleep can cause irritability and stress. Even partial sleep deprivation can encourage feelings of sadness and anxiety. A good night’s sleep, on the other hand, can make you feel ready to tackle the world. If you’re having trouble sleeping, talk to your doctor, and try to improve your sleep habits. Get up and go to bed at the same time every day, avoid stimulants like caffeine and alcohol before bed, keep the technology out of the bedroom — including televisions — keep your room cool and dark and establish a presleep routine that includes at least 30 minutes of a calming activity before bed. Spending time with friends has been shown to help improve mood — as long as they’re positive, happy friends. It’s probably why we have so many parties and get-togethers around the holiday season. We feel that natural need to interact with others because we sense that it will help lift us up. Researchers from the University of Rochester reported in 2017 that experiencing and even just anticipating events that you know you’re going to enjoy helps chase away the blues all day long. If those events involve spending time with people you care about, your mood lifts even more. “It’s the social activities — positive, everyday experiences that involve other people — that may be most likely to brighten the mood of those struggling with depression,” said study author Lisa Starr. So even if you don’t feel like it, go to that lunch with your friend, or that evening party in your neighborhood. It’s likely that after you’ve been there for a few minutes, you’ll start to feel better. If nothing is going on, set it up yourself. Sitting quietly and meditating may not seem like it would help boost your mood, but studies show that it actually can. As a bonus, it will help ease any anxiety you may be feeling. The evidence behind this one is super strong. In a review of 47 trials that looked at meditation, researchers found that mindfulness meditation helped ease anxiety, depression and pain consistently. Other studies have found that meditation works just as well in reducing depression and anxiety as antidepressants. What meditation does is train the brain to relax and be less taken up with distracting thoughts. We all have those running through our minds, and meditation teaches us to give them less importance, so they can’t affect our moods so much. Even if you think you’re feeling sad, not anxious, meditation can still help, as it can give you the skills you need to replace negative, depressing thoughts with more positive ones. Mind wandering, in general — ruminating and worrying — has been associated with being less happy overall. Meditation can help quiet the part of the brain that is responsible for random, worrying thoughts, relieving you of their heavy energy. The more you meditate, the more you’ll be able to switch gears when your mind starts doing this, so that you can experience more positive thoughts. This may seem like common sense, but look around: How many people do you see that are underdressed for the season? Turns out that being cold leads to feelings of depression! In a 2014 study, researchers found that depression was more prevalent in parts of the country where cold and rainy weather was more abundant. Higher temperatures, on the other hand, were found in a 2008 study to help improve a person’s mood. You can increase your resistance against winter depression by making sure when you go out, you are as prepared as you can be. Wear warm clothes and shoes, and don’t forget hats and gloves. Dress in layers — many thin, warm layers work better than only a few thick layers — wear winter socks and look for a pair of insulated boots. If you’re warm and comfortable during these winter months, it will help keep your mood from sinking too low. The holiday season is full of comforting and exciting scents, including cinnamon, peppermint and the smell of freshly baked goods. However, when the holidays go away, all those scents often do too. Fortunately, you can remedy that situation easily and let your nose lead you to a better mood all winter long. The olfactory bulbs have a direct line to the areas of the brain that process emotion, which means that you can get strategic about what you smell so that it has a positive effect on how you feel. Having something you can enjoy doing in the wintertime can make a big difference in your mood. Hobbies, on the whole, are good for us and can provide a lot of health benefits. According to a 2010 study, hobbies are associated with both psychological and physical health benefits, including lower blood pressure, better weight control and better mood. In a 2015 study, researchers found that those engaged in hobbies were 34 percent less stressed and 18 percent less sad while doing them. Indeed, hobbies can help you cope with stress, boost your energy and can even help improve your time management. If you have a book club meeting at night, for example, you’re more likely to use your time at work efficiently so you can leave on time, whereas if you have nothing to look forward to, it’s easier to whittle away your time and end up leaving late. Dr. S. Ausim Azizi, chairman of the department of neurology at Temple University’s School of Medicine in Philadelphia, told the New York Times that when you do something that makes you feel good like a hobby, it activates an area of the brain that controls how you feel about life. It also stimulates the brain’s “feel good” area, resulting in a happier mood. If you choose a new hobby this winter or join a club of others pursuing the same hobby, you can also expand your social connections, and that can boost your mood and your energy. Hobbies are known to enhance self-esteem and self-confidence and to enhance creative thinking. 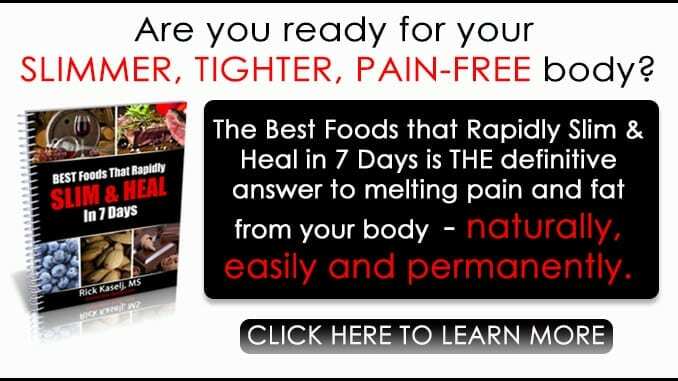 f you are looking for ways on how to bring back your natural vitality while relieving chronic inflammation and boosting up the natural fat burning hormones of your body, then check out the Best Foods that Rapidly Slim & Heal in 7 Days program. “Seasonal affective disorder (SAD),” The Mayo Clinic, https://www.mayoclinic.org/diseases-conditions/seasonal-affective-disorder/symptoms-causes/syc-20364651. Joseph P. Forgas, et al., “Can bad weather improve your memory? An unobtrusive field study of natural mood effects on real-life memory,” Journal of Experimental Psychology, January 2009; 45(1):254-257, http://www.sciencedirect.com/science/article/pii/S0022103108001649. Randy A. Sansone and Lori A. Sansone, “Sunshine, Serotonin, and Skin: A Partial Explanation for Seasonal Patterns in Psychopathology?” Innov Clin Neurosci., Jul-Aug 2013; 10(7-8):20-24, https://www.ncbi.nlm.nih.gov/pmc/articles/PMC3779905/. “Sleep and Mood,” Harvard Medical School, http://healthysleep.med.harvard.edu/need-sleep/whats-in-it-for-you/mood. Lisa R. Starr and Rachel Hershenberg, “Depressive Symptoms and the Anticipation and Experience of Uplifting Events in Everyday Life,” Journal of Clinical Psychology, October 2017; 73(10):1442-1461, http://onlinelibrary.wiley.com/doi/10.1002/jclp.22447/full. “Feeling blue? Grab your friends and have fun, say researchers,” University of Rochester, April 7, 2017, http://www.rochester.edu/newscenter/feeling-blue-grab-your-friends-and-have-fun-say-researchers-232642/. Lida Mirzakhani and Parinaz Poursafa, “The Association between Depression and Climatic Conditions in the Iran Way to Preventive of Depression,” Int J Prev Med., August 2014; 5(8):947-951, https://www.ncbi.nlm.nih.gov/pmc/articles/PMC4258674/. John M. Grohol, “Can Weather Affect Your Mood?” PsychCentral.com, 2014, https://psychcentral.com/blog/archives/2014/08/29/can-weather-affect-your-mood/. Sarah D. Pressman, et al., “Association of Enjoyable Leisure Activities with Psychological and Physical Well-Being,” Psychosom Med., September 2009; 71(7):725-732, https://www.ncbi.nlm.nih.gov/pmc/articles/PMC2863117/. Eilene Zimmerman, “Hobbies are Rich in Psychic Rewards,” New York Times, December 2, 2007, http://www.nytimes.com/2007/12/02/jobs/02career.html. Matthew J. Zawadzki, et al., “Real-Time Associations Between Engaging in Leisure and Daily Health and Well-Being,” Ann Behav Med., February 28, 2015, http://www.ucmerced.edu/sites/ucmerced.edu/files/documents/zawadzki-paper-2015.pdf.